How much are these products going to cost? Off the shelf products from your local hardware or home improvement store can cost between $40 and $100 dollars depending on the insect problem that you’re having. Have I correctly identified the pest that I want to treat? In order to effectively treat your home for pests, the insect must be correctly identified. Our technicians are trained to correctly identify the target pest and determine the appropriate treatment. There are 17 different ant species that populate the Sovereign Pest Control service areas and the appropriate treatment depends on the type of ant being treated. How much time will spend researching, purchasing, and the correct pesticide? It can take hours to research, shop, purchase, and apply the over the counter pesticides. It takes weeks, months, and years of training to become an experienced pest control technician who can effectively treat a residential pest infestation. Are the off-shelf products as effective as the products used by a professional? Can I be certain that I am treating the problem correctly? It is very likely that a homeowner could accelerate the pest infestation and make the problem worse by improperly performing a pest application with over the counter products. Do I want to go into my crawl space? Would I be better off having a professional take care of my pest problem? Yes. It takes experience, training, and the proper pesticides to effectively treat a pest infestation. 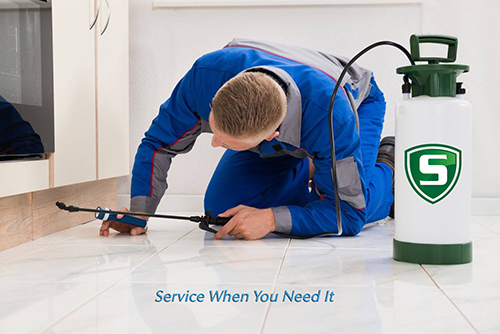 We believe that the pest control service from Sovereign Pest Control is a much better value and a more effective solution than the “Do It Yourself Approach”.